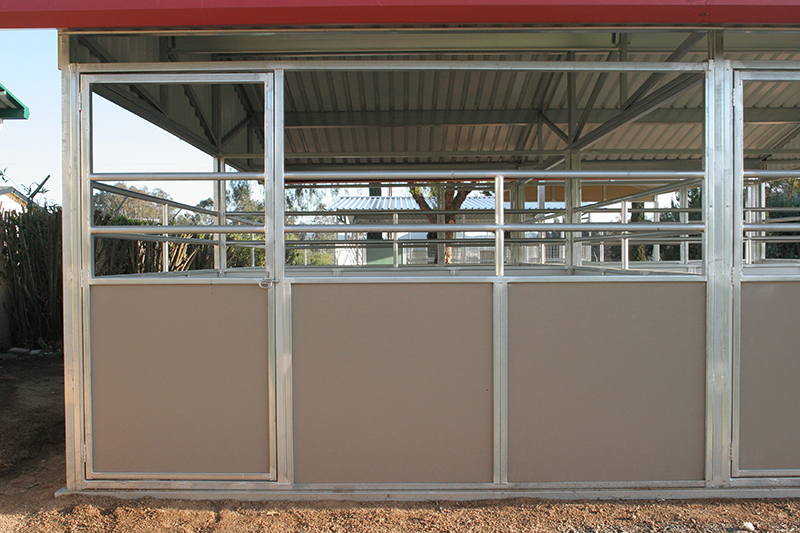 FCP offers efficient solutions for all your metal barn and building needs. 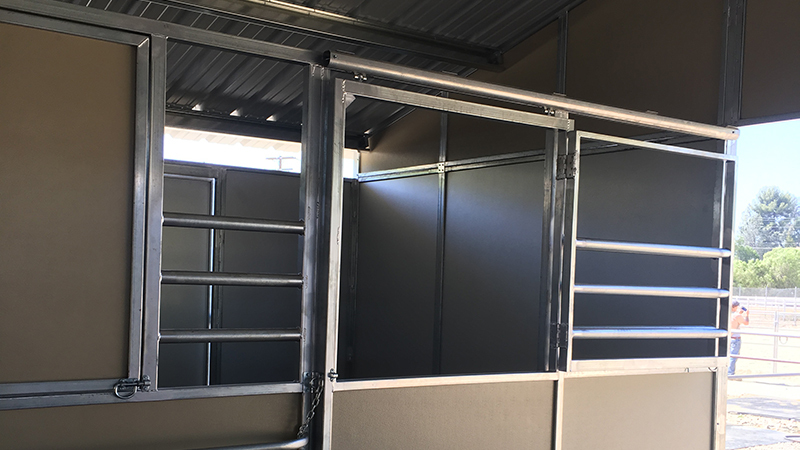 Our expert design team can help you develop your steel barn plans from an initial concept to a structurally sound and functional design. 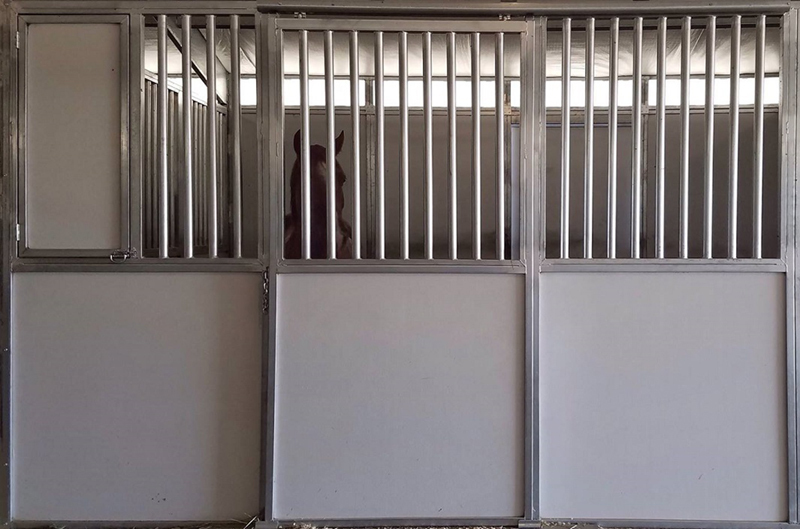 We offer metal Raised Center Aisle, Gable, Shedrow, and custom-made barns that are superior to traditional pole barns. 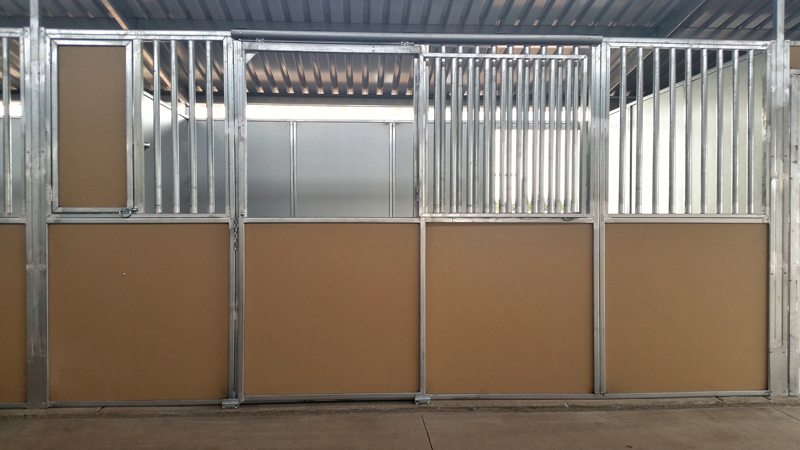 In addition, FCP offers the broadest selection of standard wall material options in the industry. 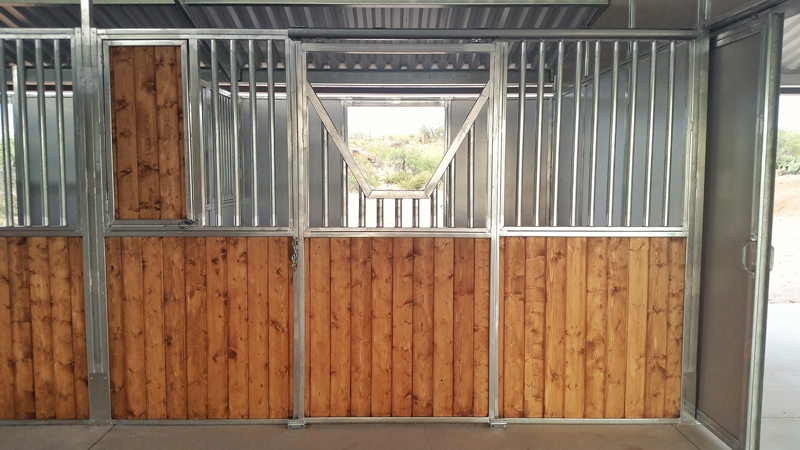 From the strength of low-maintenance steel to the beauty of wood, we can offer you almost any option. 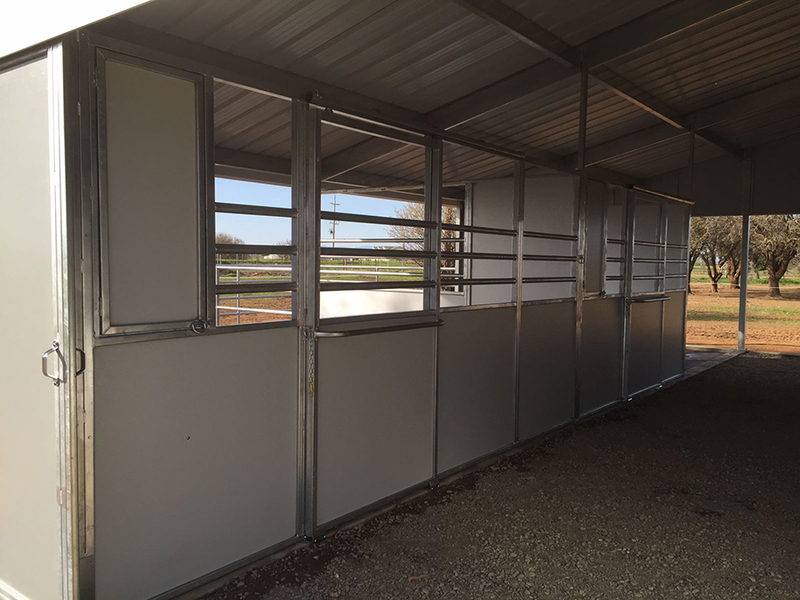 This allows FCP buildings to be objective in designing the perfect metal barn that will be a reflection of your individual style. 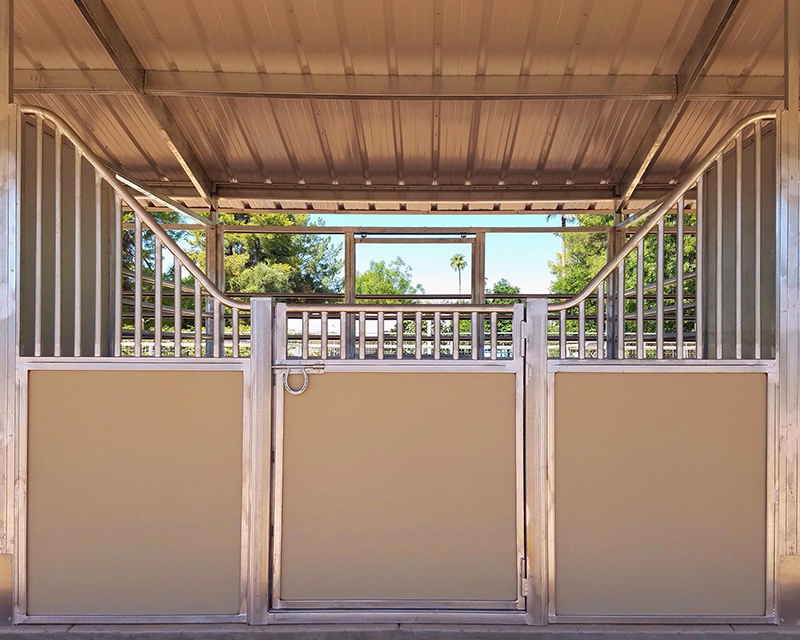 FCP has developed thousands of metal horse barn designs that incorporate the strength of steel to outlast harsh weather conditions, fires and earthquakes. 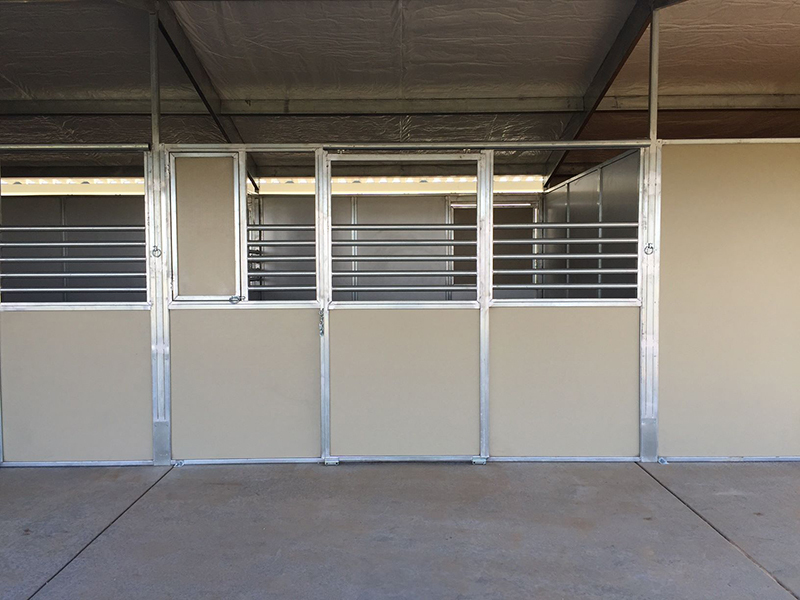 Heavy duty bottom door guides – Feed door hinges welded in place – Self-cleaning, round profile door track and rollers – Intuitive latching, simple and reliable (Some pictures may include upgrades. Please consult your FCP Dealer for more information. 2-Rail or 3-Rail 16 gauge 1 7/8” horizontal grill with full circle welds – Hinged door with heavy duty hinges – Intuitive latching, simple and reliable. 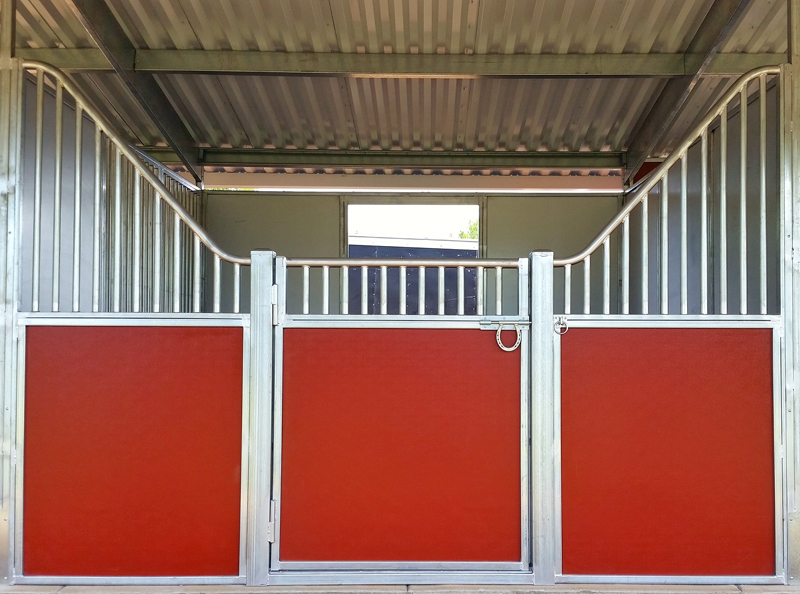 European style 1 5/8” vertical grill with full circle welds – Hinged door with heavy duty hinges and decorative horseshoe slide latch Option: Powder coating.